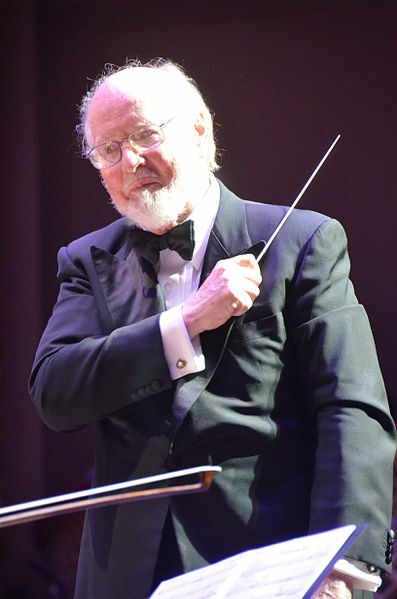 If I was to ask you to name as many famous movie composers as you could, I’d bet you that John Williams’ name would be amongst the first four or five composers you’d tell me. He has become, quite literally, a household name, with his themes and scores instantly recognizable and deeply beloved by many. There is little doubt that Williams’ works have shaped the sounds of movie soundtracks for the past forty years at least, and will continue to leave their marks on scores yet to be composed. What is it about John Williams’ music that makes it so good? I’m hardly a musician, but I’ve decided to try to undertake this question for today’s inspiration entry by focusing on some of John Williams’ lesser known scores and soundtracks. Now, some of these might be old John Williams’ favorites to you, but when I was flipping through the list of his works, they stuck out to me as unusual and fun! 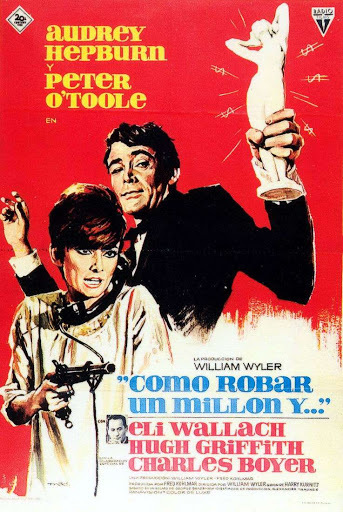 Released in 1966, How to Steal a Million boasts a host of A-list stars of the period in a hilariously ingenious heist film. Nicole Bonnet, played by Audrey Hepburn, must steal back a statue her art-forger father has allowed to go on exhibition before it’s discovered to be a fake. She enlists the help of the always charming Peter O’Toole, playing Simon Dermott, an art enthusiast who may or may not be an actual thief, to get the statue back; but things get complicated when an American millionaire, Davis Leland, played by Eli Wallach, gets his heart set on both owning the statue and marrying Nicole. I can’t pretend to be unbiased when it comes to this film – it has been one of my favorite comedies for many, many years. But until recently I had absolutely no idea that the film’s score was composed by John Williams! One of his earlier movie scores, the music John Williams provides for this film stands out as a character of its own. Like the film, none of the pieces take themselves too seriously; absent are the usual sweeping horn sections, driving strings, or other sounds which have become Williams’ signature over the years. The score plucks along underneath the main action, simple and organic, as if the movement of the actors themselves was creating the soundtrack. For many, Home Alone holds a place of special significance, being one of those few films that families will often gather round the television to watch at this joyous time of the year. For those of you hazy on the details of the film, Home Alone tells the story of a young boy, accidentally left at home when his family flies off to Paris for Christmas. He learns to take care of himself, learns the importance of family, and learns to look beyond the surface of people and see the truth within them. Personally, Home Alone has never been one of my favorite films. I’m not sure what it is, exactly, but perhaps Kevin’s loneliness hit a little too close to home for me. Given that, I had never realized that John Williams was enlisted to compose the score to this film. Upon listening again, I feel foolish for not recognizing his symphonic touches earlier. The score for Home Alone shares many more similarities with his landmark works than How to Steal a Million, chief among these the use of themes and layers. Harmonies are layered upon harmonies, with one strain of music giving depth to another. Much like a conversation, Williams’ scores are filled with subtextual meanings elucidated by nothing other than sound and tone. Listening to his work, one feels as if they are being told a story almost separate, but supplementary, to the one being told through film. 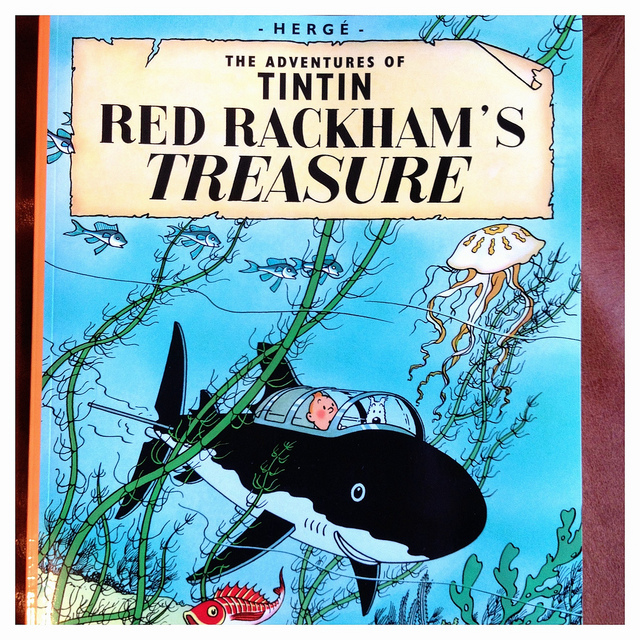 The Adventures of TinTin is tragically underrated, and it’s one of the main reasons I included it in this post. If you haven’t watched it yet, go out, rent it, buy it, borrow it from a friend and never return it, find some way to experience this wonderful piece of cinematic fun – you won’t regret that you did! This beautifully animated film was directed by Steven Spielberg, written by Steven Moffat, current show-runner of Doctor Who, and Edgar Wright of Cornetto Trilogy fame, and includes the voice talents of Jamie Bell, Andy Serkis, Daniel Craig, and the comedic duo Simon Pegg and Nick Frost. 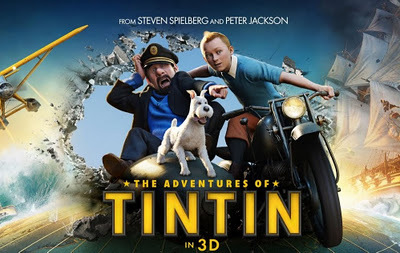 The movie is a labor of love in every sense, born from Spielberg’s early devotion to the TinTin comics of Belgian artist Hergé. These comics were the inspiration for the Indiana Jones films that are close to so many people’s action lover hearts. Many fans of the film like to think of The Adventures of TinTin as everything the last Indiana Jones film should have been. It’s epic and exciting, funny and sweet, uplifting and a pure joy to watch. John Williams’ score goes a long way to contributing to this singular movie watching experience, going far beyond simply highlighting the action and emotions being portrayed on-screen. As always, Williams’ work, while working perfectly along the subject matter with which it is paired, can stand on its own; it’s like a separate level of the story you can take out and examine by itself, just like the characters, the settings, or the themes. This is why, in my opinion, the film scores of John Williams stand out so much from all the rest. His work is more than just background music for cinematic action – it is a story in and of itself, communicating things that are not on-screen, reaching out to the audience’s imagination and encouraging them to look deeper into the story they are being told. As a writer, I think it is important to remember that no one device in a story is less important than any other. In order to produce a superb storytelling experience, the characters, the setting, the language, the very format of the text should all be variations on the work itself, each adding a layer of meaning and beauty to the reading experience. This entry was posted in Inspiration and tagged Academic, Andy Serkis, Arts, Audrey Hepburn, Creative, daniel craig, Doctor Who, Edgar Wright, Eli Wallach, Essay, Film Scores, Herge, Home Alone, How to Steal a Million, Indiana Jones, Inspiration, jamie bell, John Williams, movie soundtracks, Movies, Music, Nick Frost, Non-Fiction, Peter O'Toole, Robin Jeffrey, Scores, Simon Pegg, Steven Moffat, Steven Spielberg, The Adventures of TinTin, TinTin, Williams. Bookmark the permalink.